Audit and accounting services include certified audits, compilations, reviews and agreed upon procedures engagements. Our main desire in providing these services is not to be "number crunchers", but to provide our clients with a valuable tool to help their businesses. This happens through interaction with employees, management and directors and, when necessary, written management advice letters. In accordance with standards promulgated by the American Institute of Certified Public Accountants and the Illinois CPA Society, we have instituted a detailed quality control system to ensure that our audit and accounting services are performed up to the most current standards. As a firm that performs governmental audits we are required to subject this system to an internal review 2 out of 3 years, and an outside peer review every third year. Our last peer review resulted in an unqualified opinion. Why choose Gorenz and Associates for your Audit and Accounting services? We look at each audit engagement as an opportunity to help you and your business become more profitable and successful. We achieve this by providing you with experienced, fully trained personnel. Your business will be directly handled by a principal, who will remain involved throughout the engagement. With this close involvement, you can be assured that your account is managed with a well-developed expertise. The traditional role of the accountant is one that we take very seriously. An audit provides an objective view of business operations and can be an important tool for management, investors, and creditors. Your audit should be performed with the highest professional standards according to procedures selected to best suit your unique needs. Of course, we also offer a full range of accounting services associated with your record keeping process. We will provide whatever level of assistance is required to guarantee the highest standards of our profession. We feel that in order to do this, we must be accessible to our clients from start to finish. This close contact will assure that your financial reporting keeps pace with the changing business environment. We are able to prepare confidential financial statements on a monthly, quarterly or annual basis. These statements will assist you and your banker in making financial decisions and plan for the continued success of your business. Payroll processing involves the year-round preparation of tax returns, required record-keeping and constant regard to changing payroll tax law. Gorenz and Associates guarantees the confidentiality and security of your payroll and provides a solution to the complex payroll issues that you face. From your receipts and tax-collected reports, we will prepare and process your returns. You can be confident that your complicated sales tax returns are done promptly and accurately. You'll have time to run your business if you let us keep your books. You can rely on us to provide for your basic accounting needs and more. At Gorenz and Associates, Ltd. we are proud to provide a full service bookkeeping department to assist our clients. Call us to find out ways to help you succeed. Governmental accounting and auditing have become continually more complex. Federal and State regulations on local governments continue to make additional, sometimes costly, reporting requirements. We pride ourselves on staying on top of legislative changes that effect our government clients. We are often requested to give financial advice on reporting requirements, budgeting and cash flows. Payroll processing involves much more than processing checks. The year round preparation of federal, state and local tax returns, deposits and the associated record keeping, not to mention the constantly changing payroll tax laws are all reasons to seek help from a qualified and knowledgeable professional. There is no better way to guarantee the confidentiality and security of your payroll. Gorenz and Associates provides simple solutions to the complex payroll and payroll tax issues that you face. Gorenz and Associates should prepare your payroll because it's the most efficient and convenient way for you to handle the many payroll-processing requirements. Each deposit period we will calculate all tax liabilities on your behalf, including the following: FICA, Medicare, Federal and State Withholding, Federal and State Unemployment Insurance. Assuming that you have provided us the necessary information, Gorenz and Associates assumes full responsibility for the timeliness and accuracy in preparing your returns. Section 125 Plan - savings for both employers and employees by deducting insurance premiums before taxes. With Gorenz and Associates handling your payroll, you can be confident that your payroll checks and tax deposit coupons and payments are accurately prepared. You can rest assured that you are keeping up with government tax law changes and their effects on your employees. With us preparing your payroll, you will know that your quarterly forms and year end W-2's are prepared in a timely manner. And you don't have to worry that your payroll information is kept confidential at all times, since it is prepared at an off-site location. Not to mention, that we will be keeping track of miscellaneous deductions, such as 401(k), cafeteria plan or Section 125 plan, wage garnishments, etc. Gorenz and Associates can solve your payroll problems at reasonable rates. Call us today. The staff of Gorenz and Associates, Ltd. have become School District auditing experts. For the fiscal year ended June 30, 2012 our firm audited over 80 school districts and joint agreements. The firm has a good working relationship with the Illinois State Board of Education (ISBE) and has been asked for our input on accounting procedures and Annual Financial Report filing changes over the past several years. 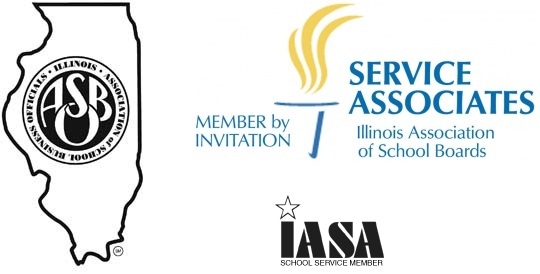 We were hired as consultants to provide the ISBE input on the Implementation of GASB 34 for Illinois School Districts. This report has been completed and filed. In short, our recommendation was for ISBE to continue providing the Annual Financial Report as an option for districts to only have a regulatory basis report, thereby not having to implement all of the GASB 34 reporting model structure. One of the firms partners (Tim Custis) has served as Chairman of the Government Report Review Committee for the Illinois CPA Society, and continues to serve as a member of the Committee. This Committee annually reviews governmental audits from around the state to improve reporting. Tim has served on the School District sub-committee of this committee for several years and is currently chairing the Policy and Procedures sub-committee, which is responsible for checklist development. Additionally, Tim serves as a School Board member at Washington Community High School. With all of these different areas of exposure to school district finances, Gorenz and Associates is uniquely qualified to handle any questions that a school district may have. We contact our clients periodically with other timely issues and trends. For the past several years the firm has also published a newsletter after the completion of the audit season. Please visit the School Newsletters page to view current and past newsletters. QuickBooks software has become the accounting program of choice for a lot of our small business clients. QuickBooks is an excellent product with a very reasonable price. By helping our clients get set up correctly on QuickBooks software from the start, we can insure fewer hassles down the road. A number of clients have even requested that we train their accounting personnel to use QuickBooks after the initial setup. We are always ready to assist our QuickBooks clients with any technical difficulties that they may have. We believe that our accounting expertise and knowledge of QuickBooks software allows us to provide the best technical support available. Our clients include producers of grain, livestock, and specialty crops. We also serve grain dealers, feed dealers, and implement dealers. Let our experienced team of agriculture specialists provide you the highest quality service to help you solve the problems of today and the planning for your successful future. Tax return preparation and planning have become common services of the accounting profession. At Gorenz and Associates we don't believe your tax problems are common. Our clients rely on us for assistance in compliance with complicated tax laws while maximizing tax savings. Gorenz and Associates, Ltd. recognizes the importance of these services, and places highest priority on maintaining an up-to-date and knowledgeable tax staff. We offer proven planning and comprehensive tax strategies on a year-round basis, helping clients to understand their options and satisfy their tax responsibilities. Our clients rely on us for accurate, confidential, and prompt tax return preparation in addition to effective tax planning. More and more Americans are requiring assistance to file their tax returns and plan their financial transactions due to increasingly complex tax laws. Gorenz and Associates, Ltd. is looking forward to meeting the challenge today's taxpayers' needs in a productive and efficient manner. Review our monthly newsletter or daily news for topics of interest. If you need other questions answered, contact us to see how we can assist you. Review of the decedent's will concerning strategies and tax related issues. Preparation, assistance and/or review of the decedent's estate tax return. Income in respect of a decedent planning for minimal estate and fiduciary income tax costs. Determine optimum estate taxes/ fiduciary tax elections and deduction alternatives. Tax planning opportunities available as a result of beneficiary distributions in kind. Assistance with disclaimer, alternative valuation, estate term and executor fee issues. Tax research assistance concerning estate, gift or fiduciary related matters. The largest possible tax advantage an individual can garner is having an appropriate estate tax plan. Currently, a married couple (with the proper planning) can pass $10,500,000 to their heirs without any estate tax. The law was set to expire after 2012 and would have reduced the individual exemption to $1,000,000 in 2013. However, the last minute deal to avoid the fiscal cliff resulted in a permanent exemption that will be indexed for inflation. Don't wait to plan until it's too late.